Like all regiments the 9th Foot carried flags called Colours, so called because of the diverse colours chosen for different regiments. Colours were a rallying point for soldiers and to show the regiment's position to the generals directing a battle. They became important regimental symbols and were fiercely defended. On display in the museum are the Saratoga Colours, so called because they were rescued from capture by the Americans at the Battle of Saratoga in 1777. The Chapel of the Royal Norfolk Regiment in Norwich Cathedral with some of the old Regimental Colours displayed. Old colours are often 'laid up' in this way in chapels and churches. 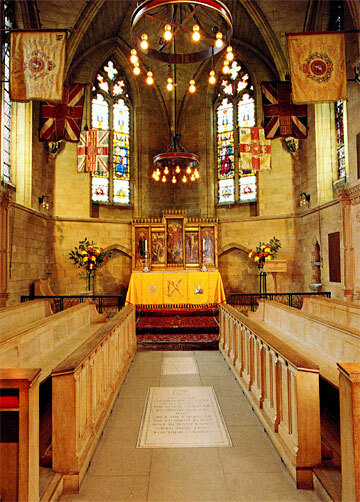 Sandringham Church also houses a number of Norfolk Regiment colours.